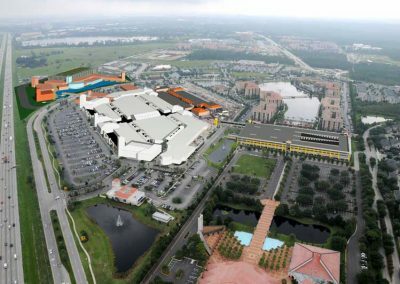 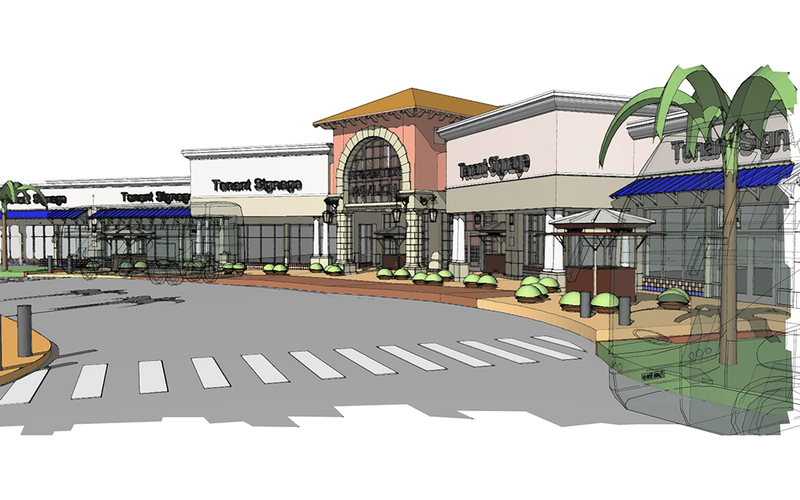 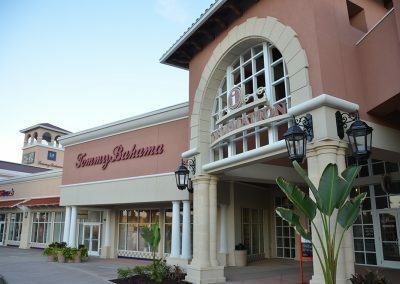 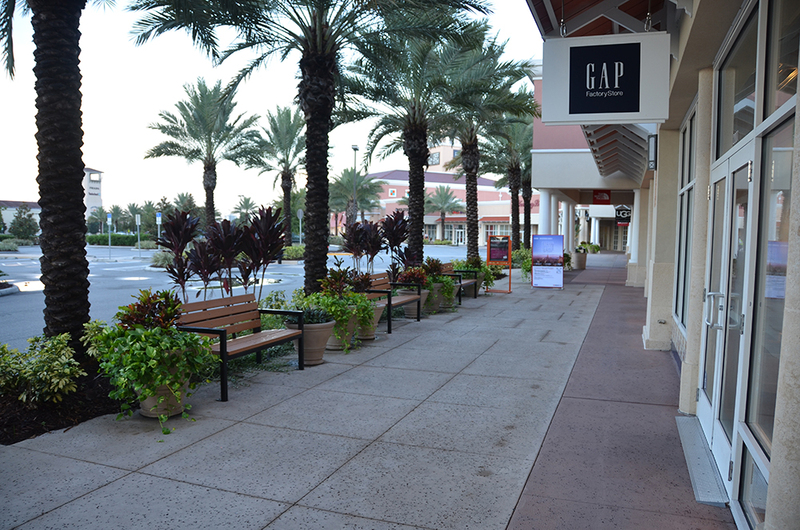 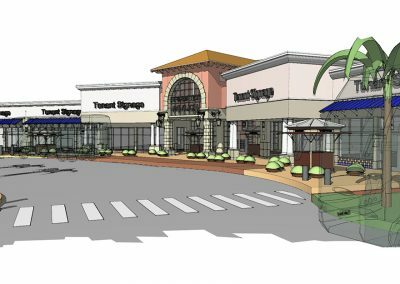 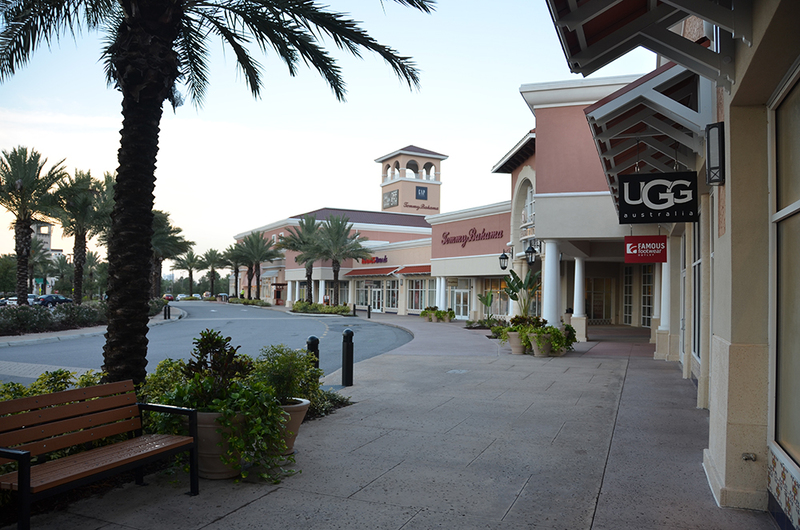 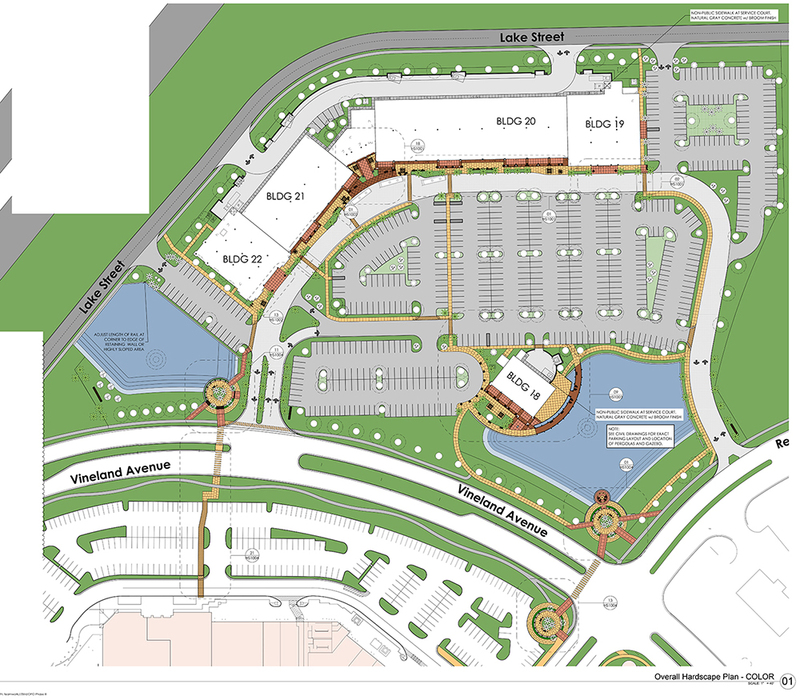 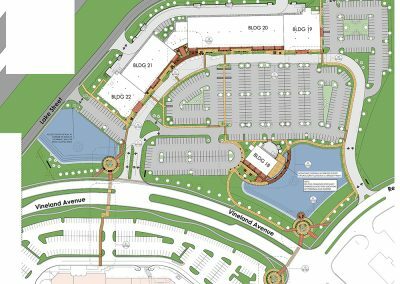 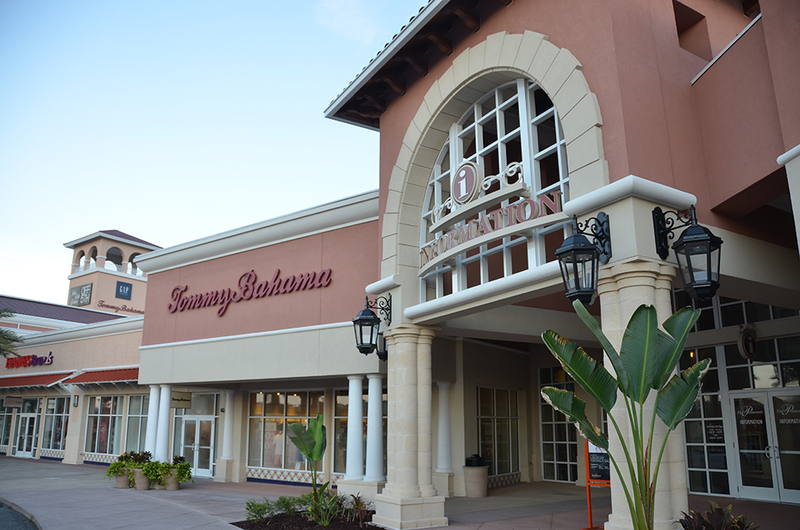 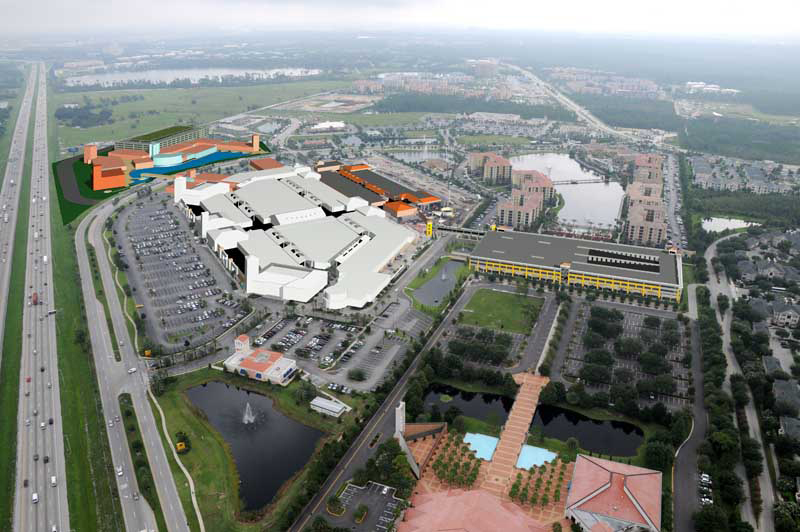 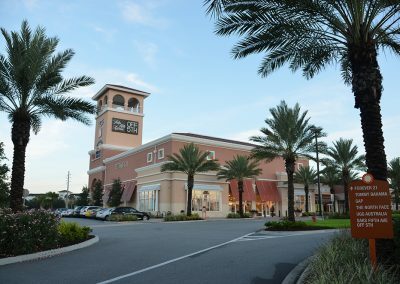 When a business on an adjacent site closed its doors across Vineland Avenue, Simon Premium Outlets seized the opportunity to commission a feasibility study of that site for future expansion of its successful Orlando Premium Outlets. 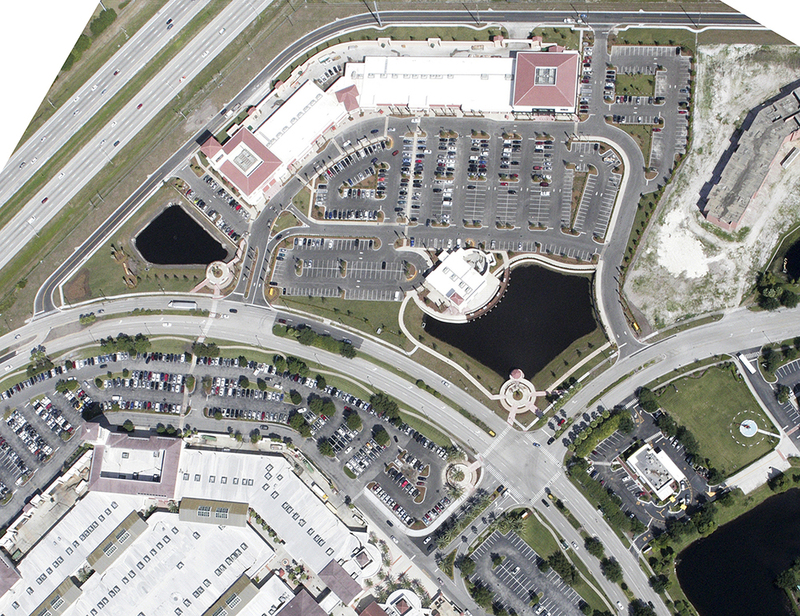 The site itself presented several challenges in terms of its shape, small footprint, and required retention area. 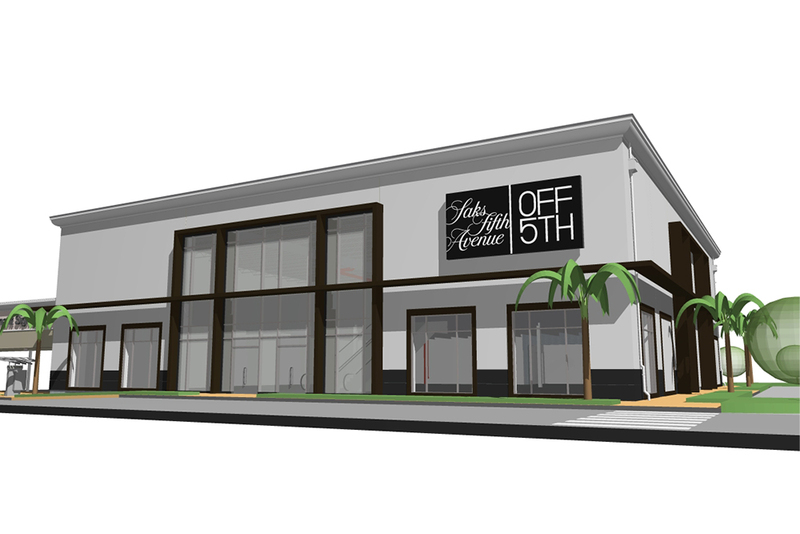 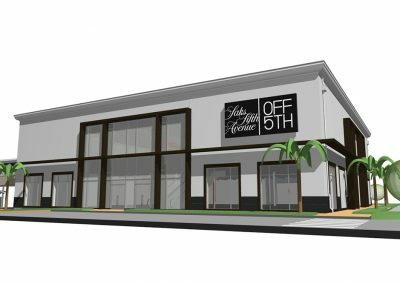 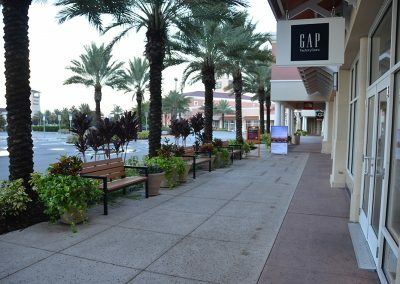 HGA proposed the importance of two-story occupancies, uncharacteristic of typical outlet centers, but significant to increase the retail density on the site due to costs and environmental responsibilities. 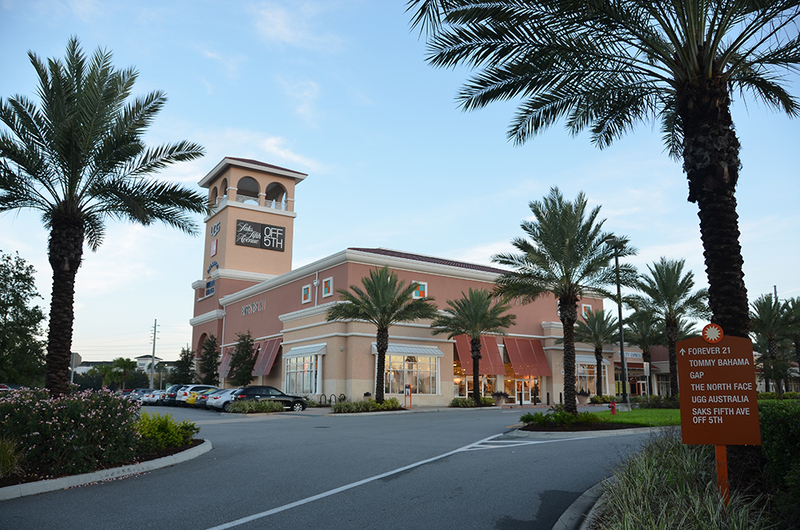 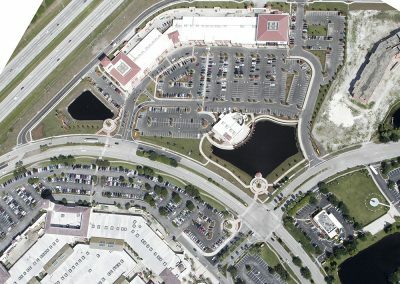 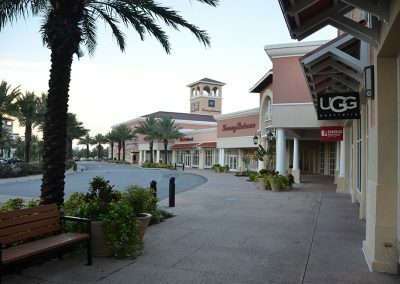 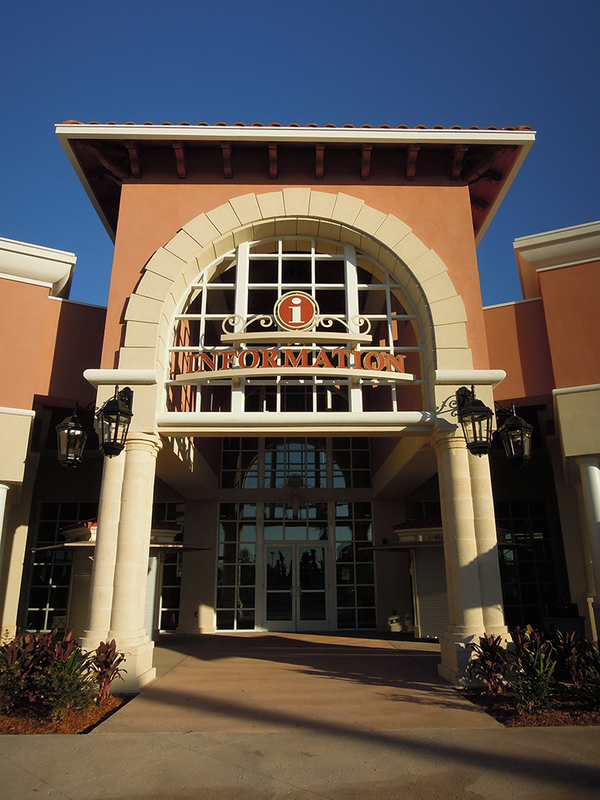 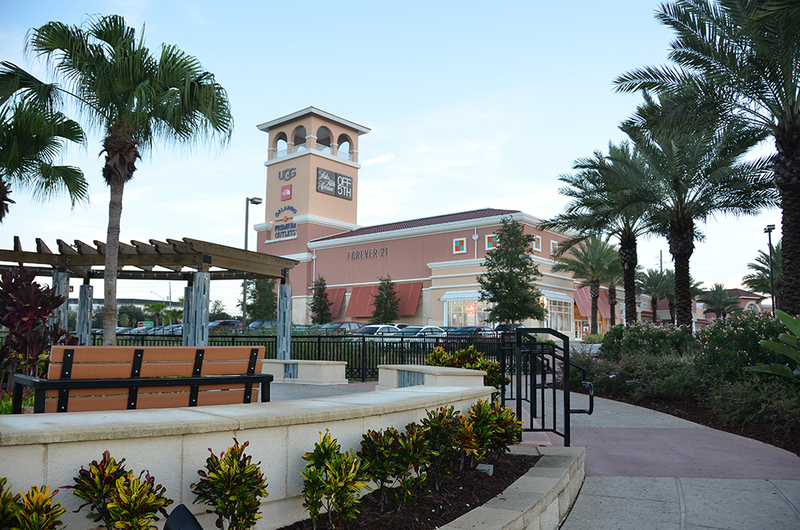 A large tower anchors one of the two story retail caps of the new center, architecturally and aesthetically linking the new retail to the existing Orlando Premium Outlets while also providing a visual cue for Shoppers within the site as well as traffic on Vineland or from the adjacent I-4. 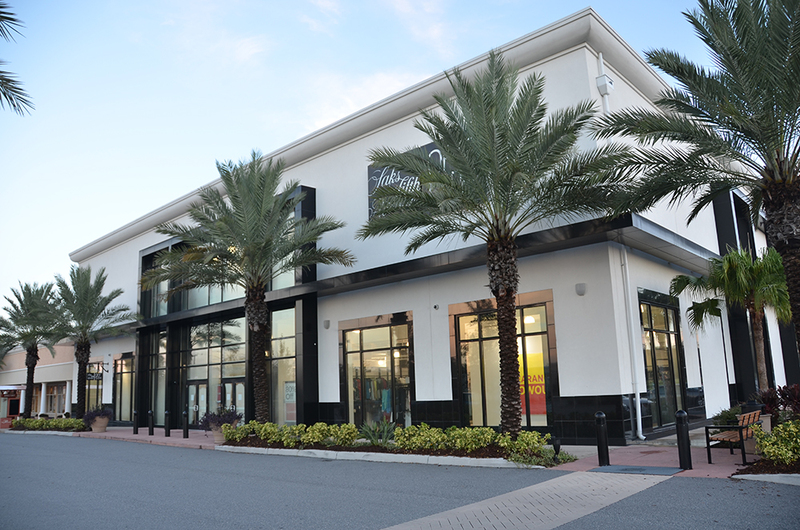 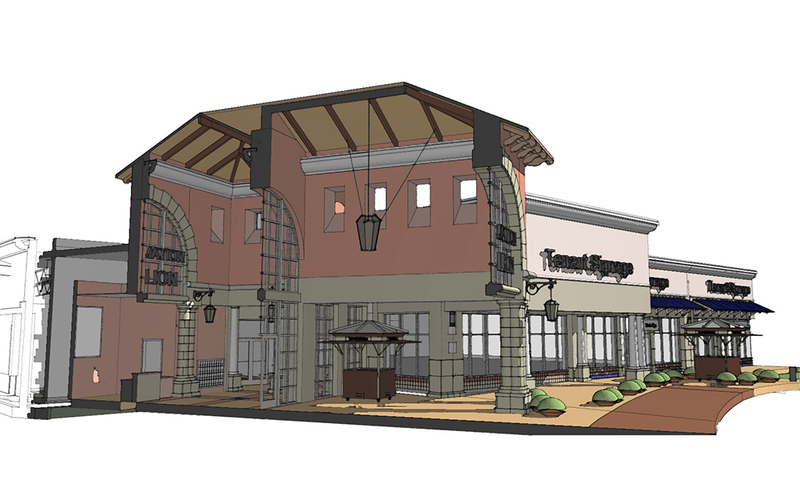 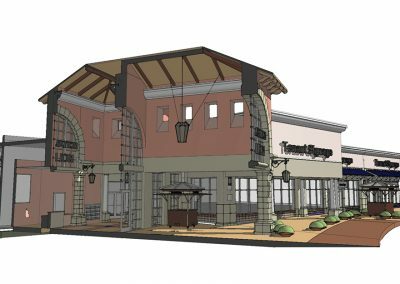 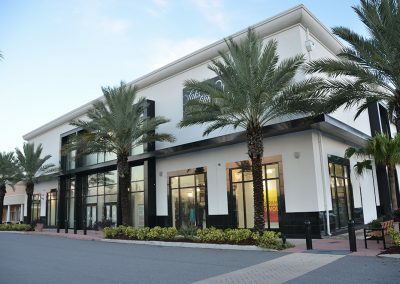 HGA worked closely with the tenant in the design of the other two-story retail suite in order to incorporate the brand’s distinctive image with that of the existing Orlando Premium Outlets’ architectural forms and palette. 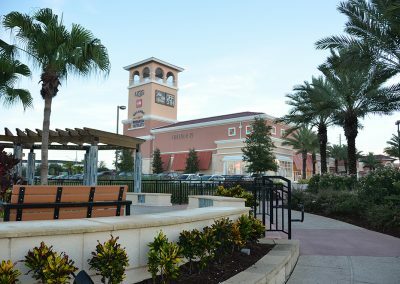 Connecting the original center to the new retail presented itself in the form of pedestrian paths to convey customers across the busy Vineland Avenue without impeding traffic. 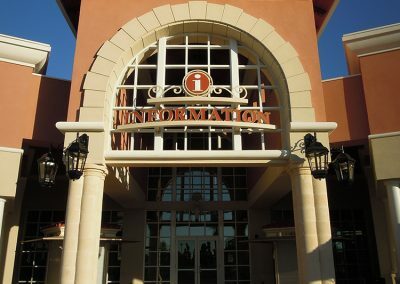 An Information Pavilion of “Old-Florida” charm with a relaxing indoor lounge and customer service desk are washed with natural light by day and large lantern fixtures by night. 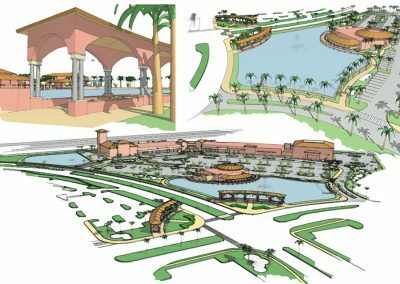 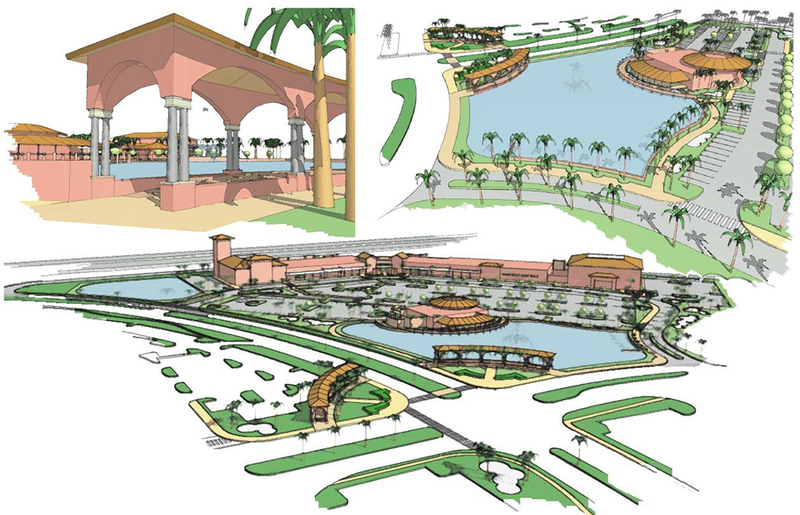 Various pedestrian walkways enveloped with lush landscaping and dotted by seating areas lead to pergola covered plazas and a gazebo overlooking the enhanced pond and water features that come alive in the evening with integrated lighting.